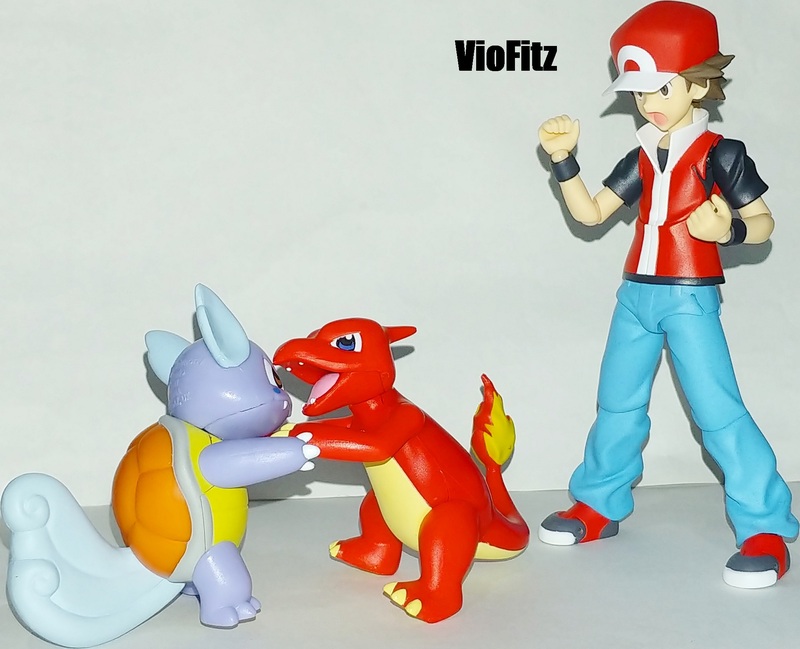 Still about Pokemon related post and now will be reviewing Pokémon Tomy 3 Pack: Charmeleon, Wartortle and Ivysaur! 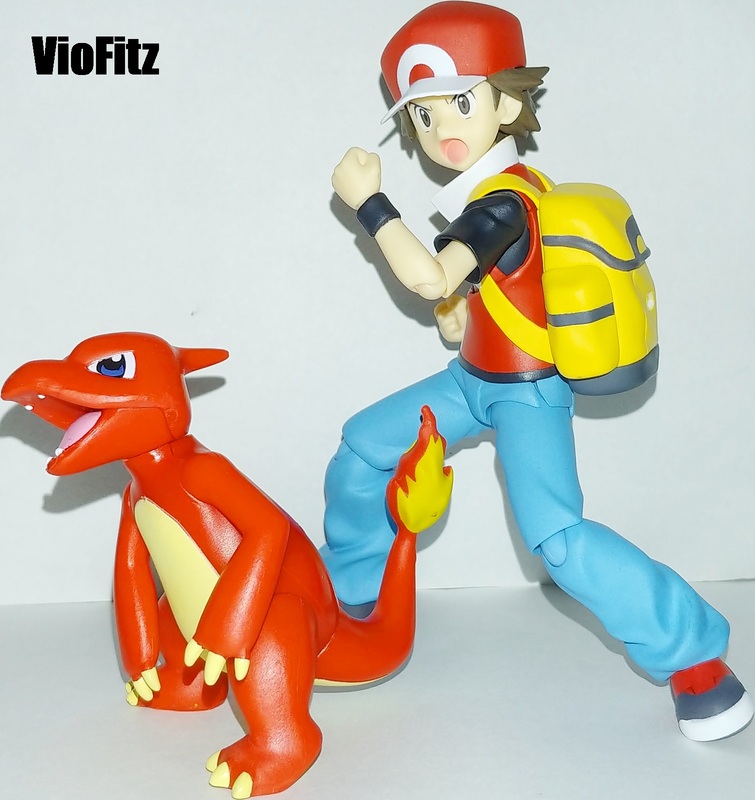 Charmeleon or known as Lizardo in Japan is a Fire-type Pokémon it evolves from Charmander/Hitokage starting at level 16 and evolves into Charizard/Lizardon in Japan starting at level 36. 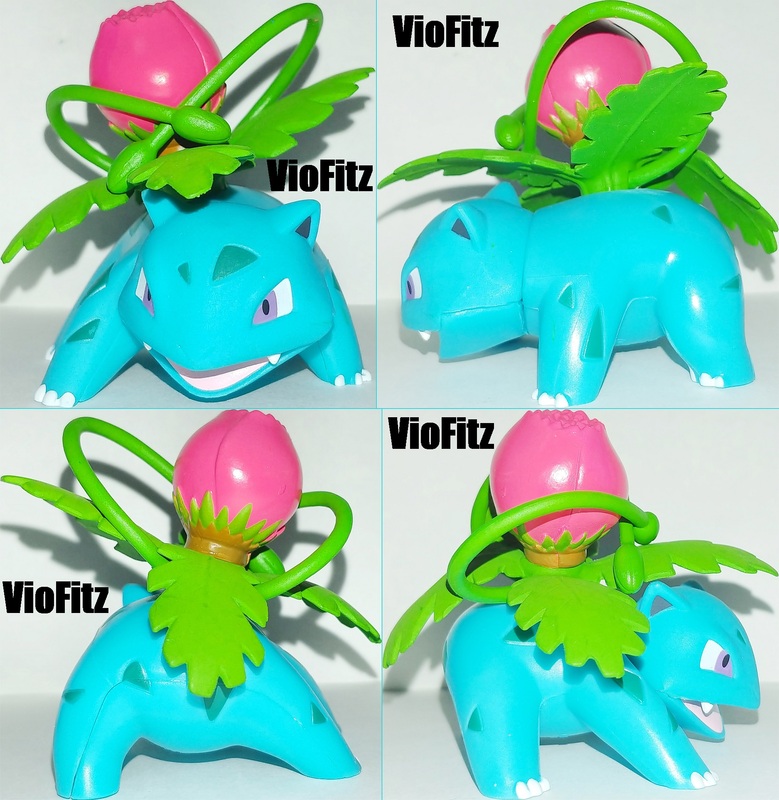 While Ivysaur/Fushigisou is a Grass-type, is the evolved form of Bulbasaur/Fushigidane from the start of level 16 and evolves into Venusaur/Fushigibana at the start of level 36. 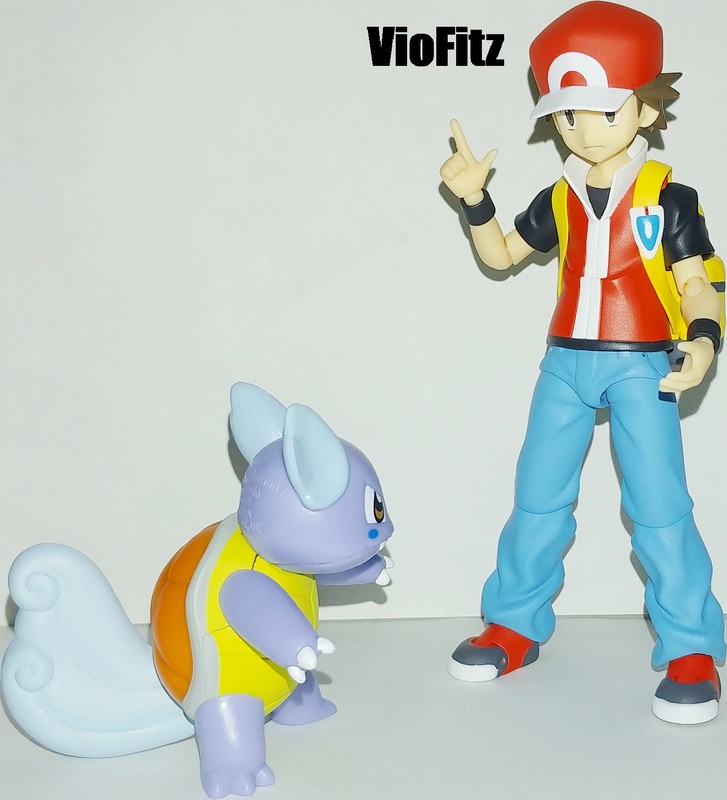 Wartortle/Kameil is a Water-type, it’s the evolved form of Squirtle/Zenigame starting at level 16 and evolves into Blastoise/Kamek starting at level 36. 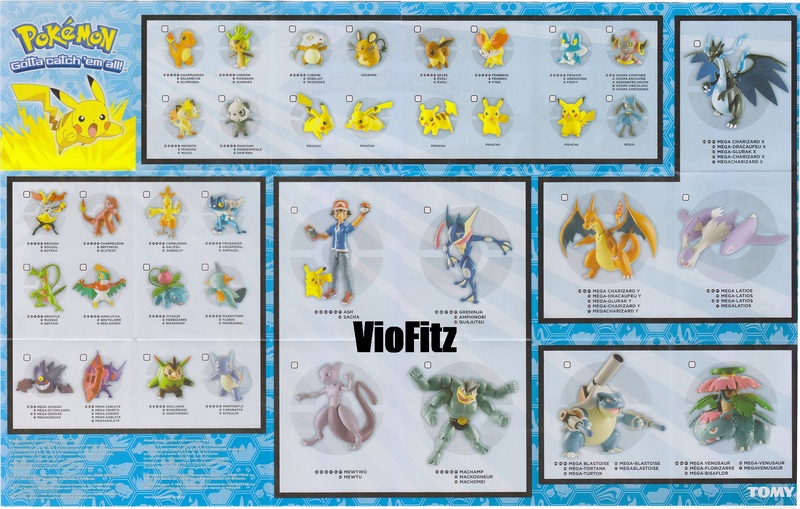 I believe these toys were actually produced by Takara Tomy but, the toys appeared to have multiple kinds of boxes for several country’s import. 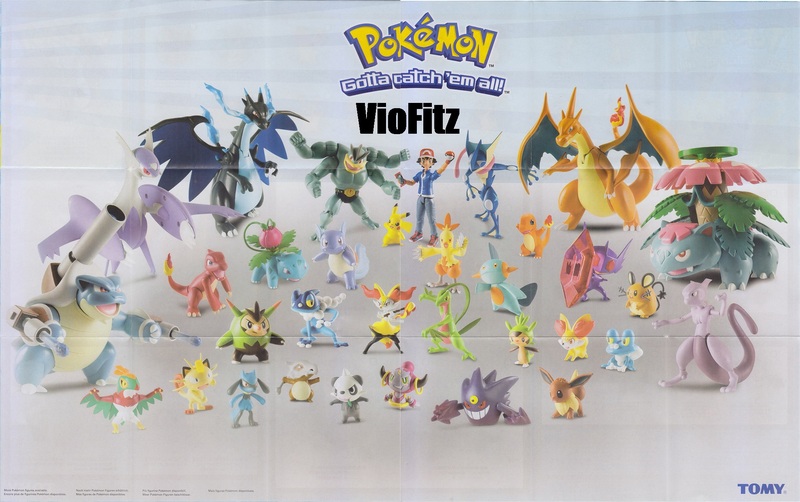 I don’t really know much of the details, all I know some was packaged with actual box and some with MOC and all of them comes with printed Pokémon franchise logo and the name of the Pokémons was written in multiple language. 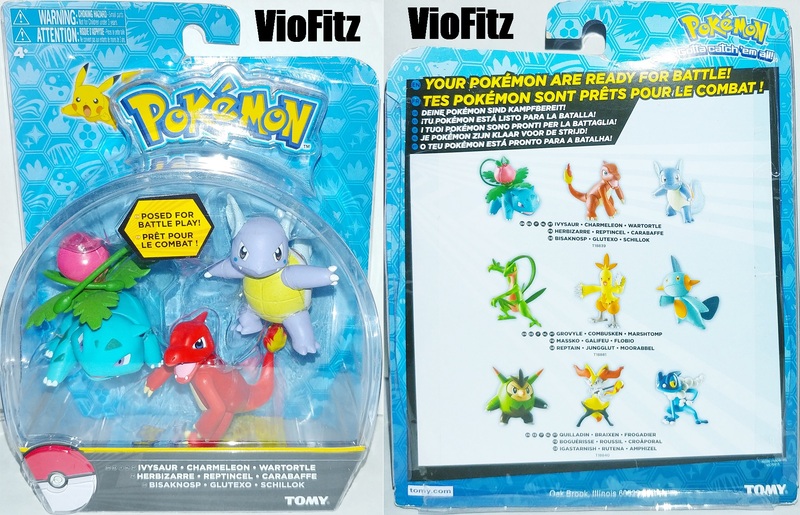 While mine one comes with MOC styled box, the 2 paper on the blister has “Pokémon” logo to match up with the Pikachu art on the side and the smaller one above the toys was written “posed for battle play”. The back card features 2 other 1st evolutions of 3 starter Pokémon from other 2 regions, they are Hoenn region and Kalos region. Okay, time to unbox this! 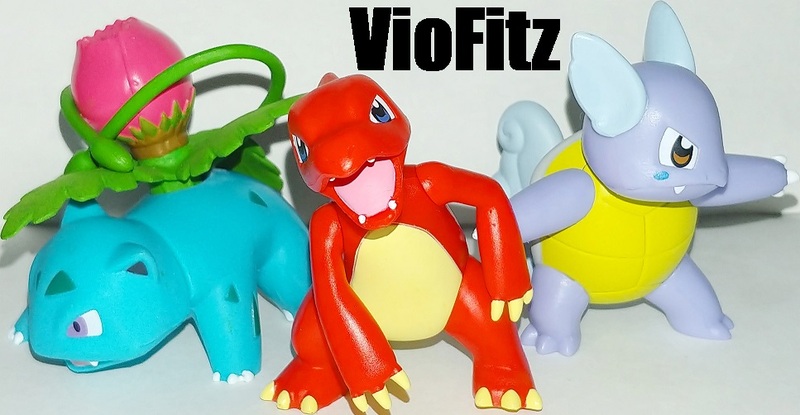 Yeah, from the box itself, we can already tell it only comes with the trio Kanto region Pokémon (Charmeleon/Lizardo, Ivysaur/Fushigisou and Wartortle/Kameil) only, no accessories given for them. 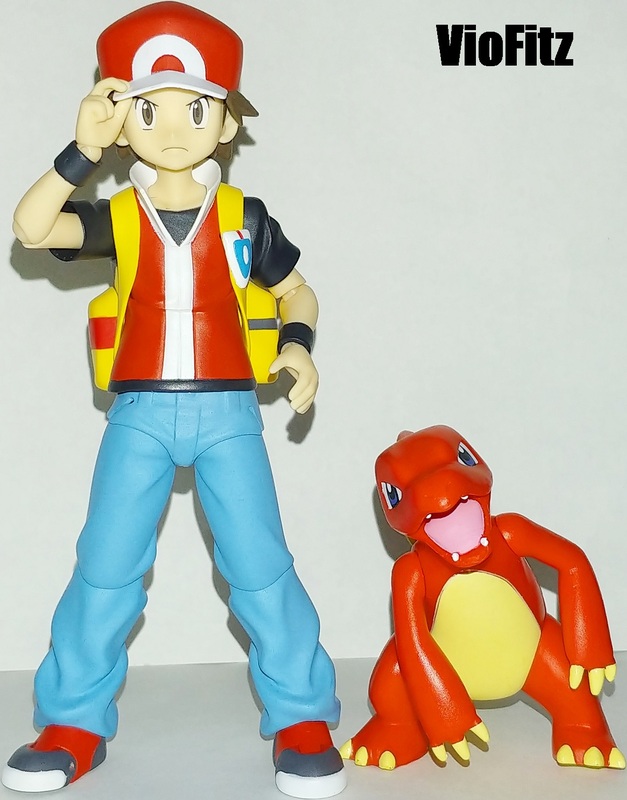 Owh, and the toys also comes up with a booklet showing a featured products of Takara Tomy Moncolle even Ash/Satoshi in Kalos region version’s outfit. 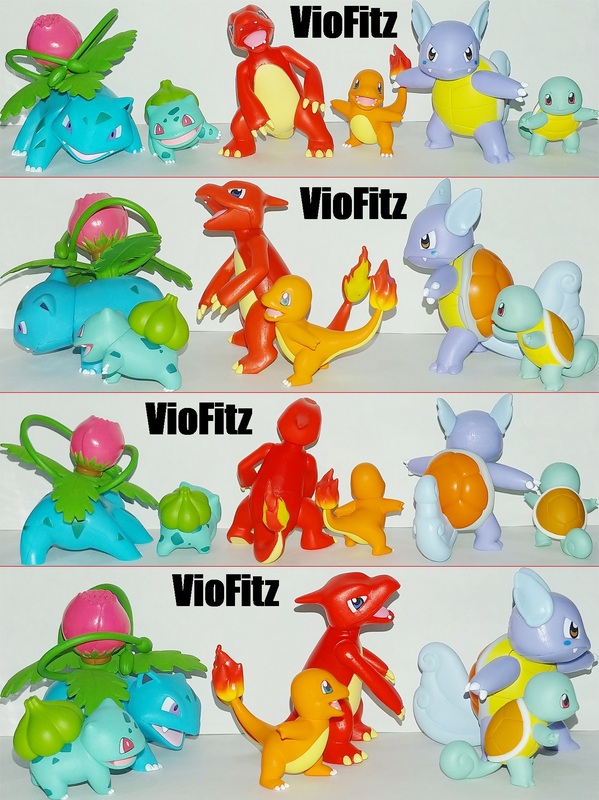 I gotta say, these toys are looking greater than I thought before I bought although, they’re semi articulated toys which they got several cut part to make them move but, out from the 3, Charmeleon/Lizardo got the most articulations while the almost complete static one is Ivysaur/Fushigisou. Despite the standard looking and the cheap plastic feel, The toys were painted pretty nice and clean although there are some minor paint defects but, it’s not really a big deal to me. 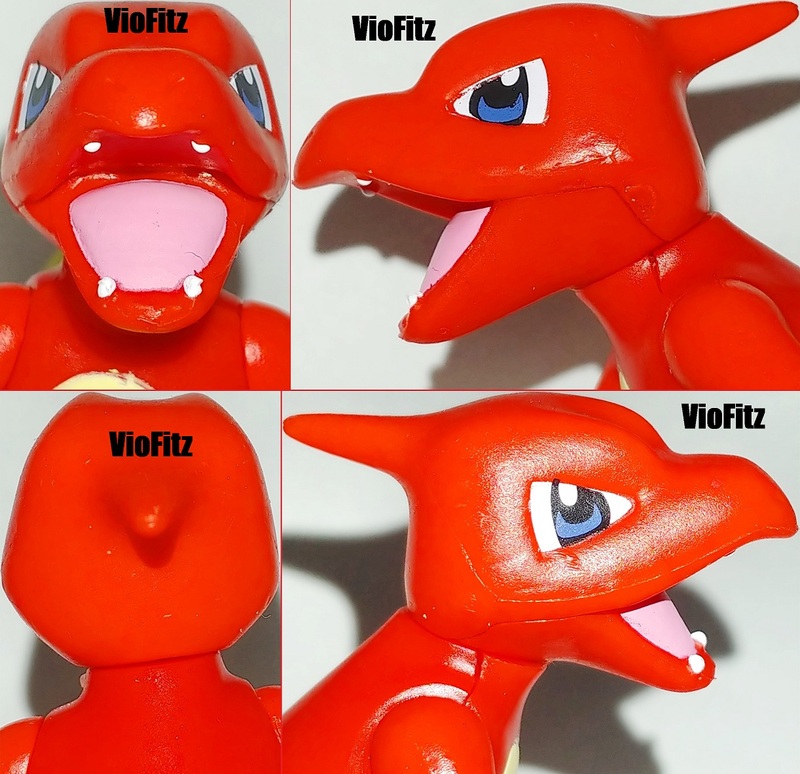 Most of the toy materials are made from hard plastic but, some has soft plastic in certain part of the body. 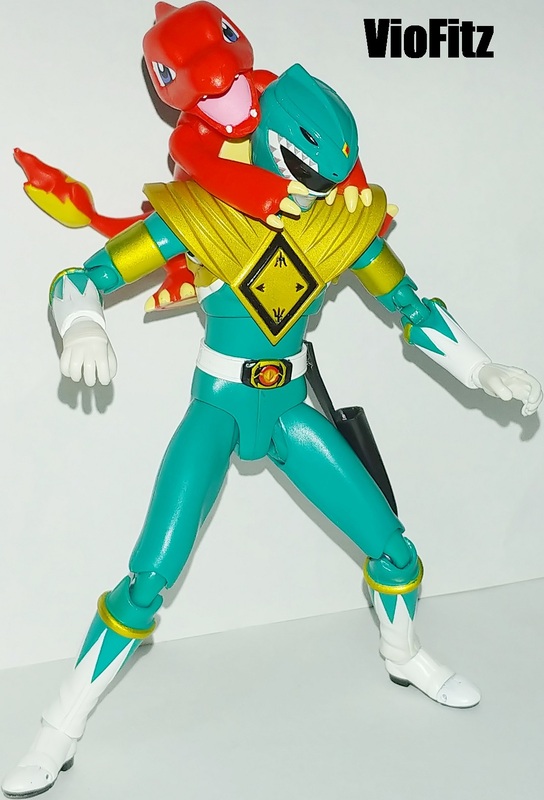 Articulated head, arms, legs and tail. 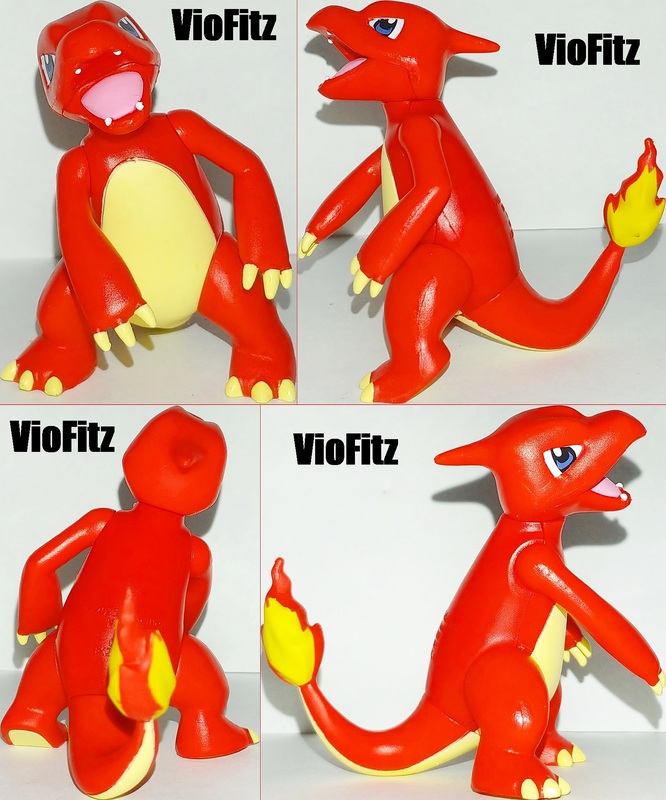 Like it’s pre evolution, Charmeleon/Lizardo is a bipedal, reptilian creature. 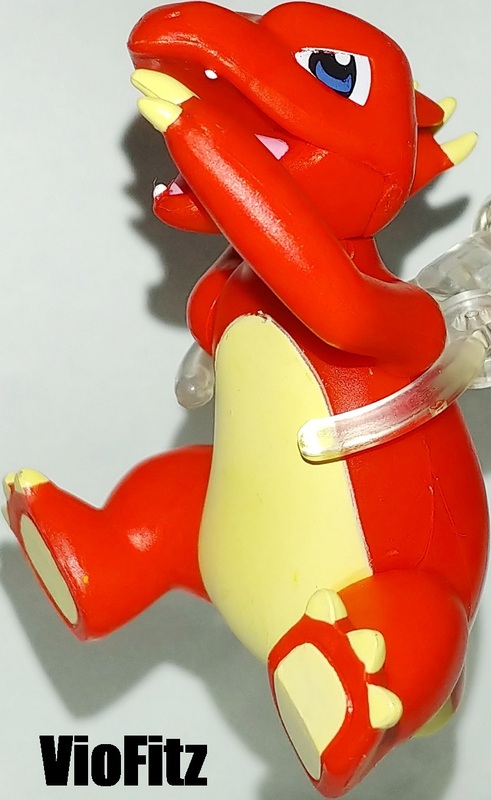 It has bright-red scales and a cream painted underside. There is a horn-like protrusion on the back of its head, and it has narrow blue eyes and a long snout. It has relatively longer arms with three sharp claws. Its short legs have feet with three claws and cream-colored soles. The tip of its long, powerful tail has a flame burning on it which only painted plain yellow. 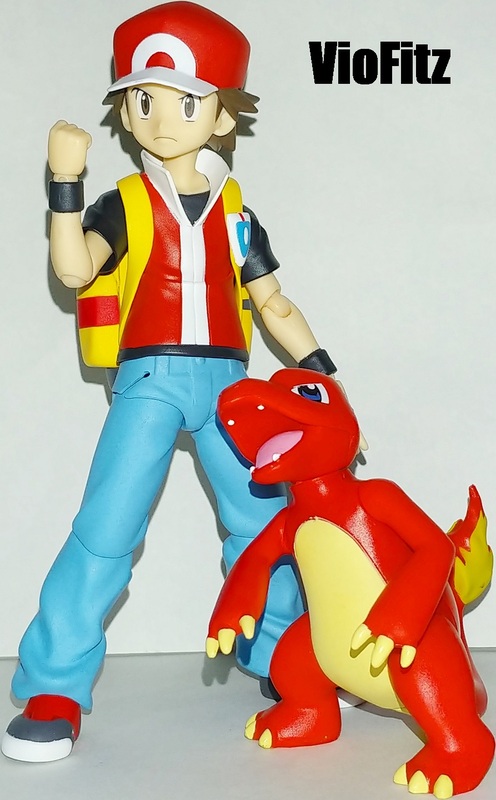 Unlike Charmander/Hitokage or even Charizard/Lizardon, Charmeleon/Lizardo got more reddish skin color and frankly, I still don’t understand why they made it like this. But, my wild guess was like maybe it’s some kind of showing the maturity state of this Pokémon. 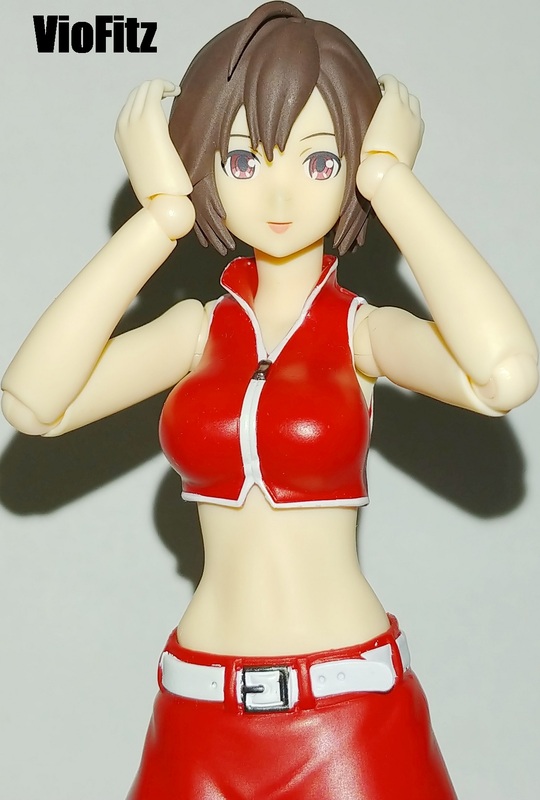 It’s head, body/torso and short legs was made from a hard plastic while it’s arms and tail are from soft material. 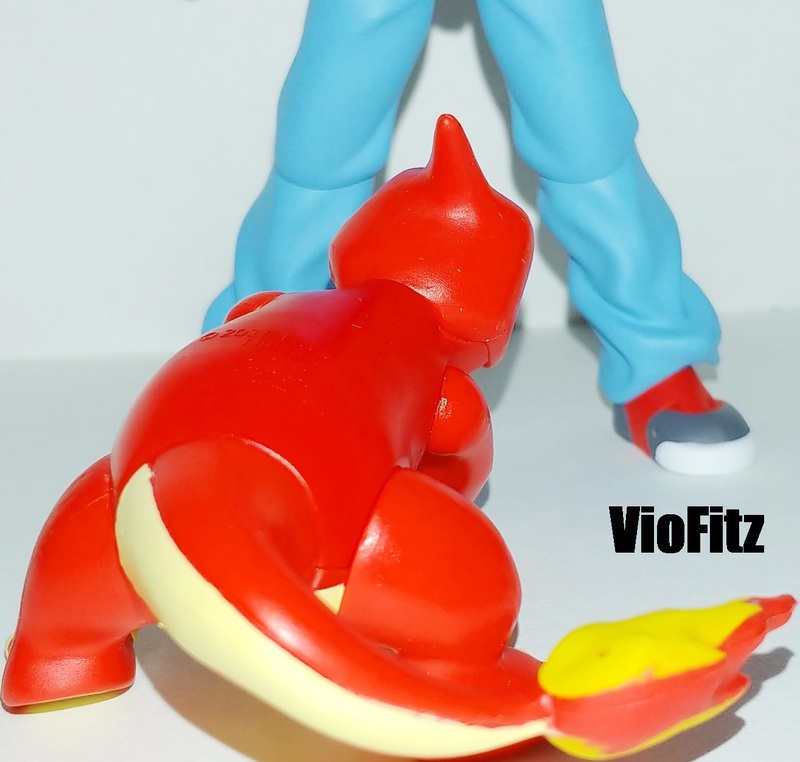 Charmeleon/Lizardo is posing standing with lowering it’s body to the side a little, it’s right arm is positioned straight forward with a little bent while the left arm is bending it’s elbow. One of the foot is shown bending it’s toe, and the head was sculpted opened it’s mouth showing it’s sharp teeth and pink colored tongue. 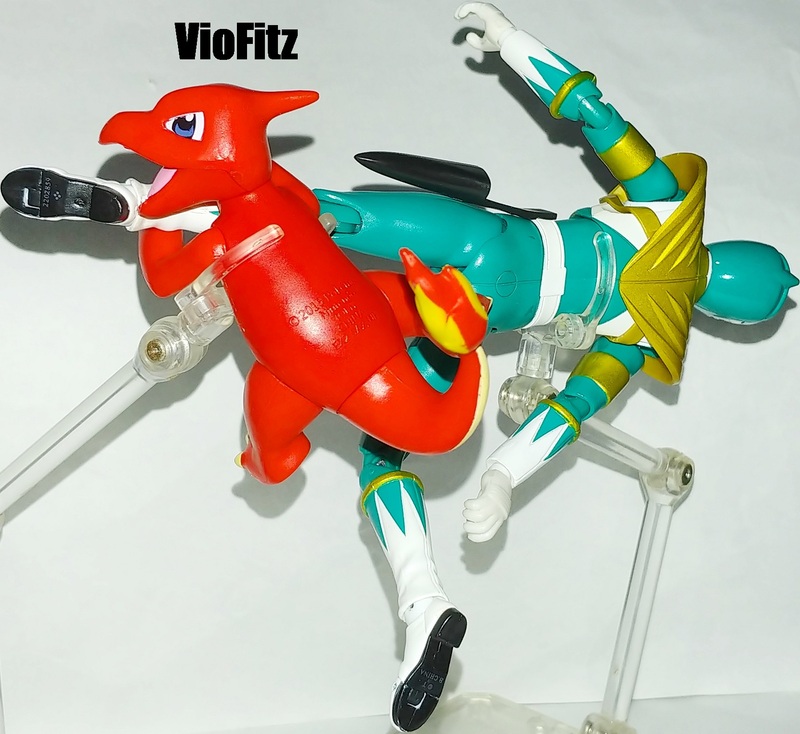 This posing was designed for Charmeleon/Lizardo when doing like a slash attacks using it’s sharp claws but, it still can recreate more posing other than this. 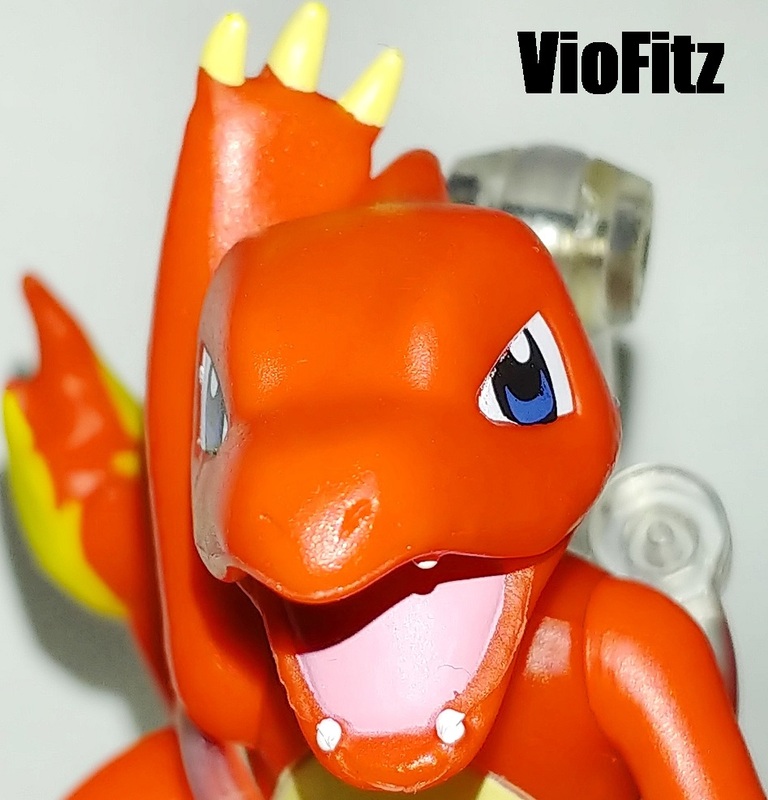 Charmeleon/Lizardo got 5 points of articulations in total, which are rotateable head, arms, legs and tail. 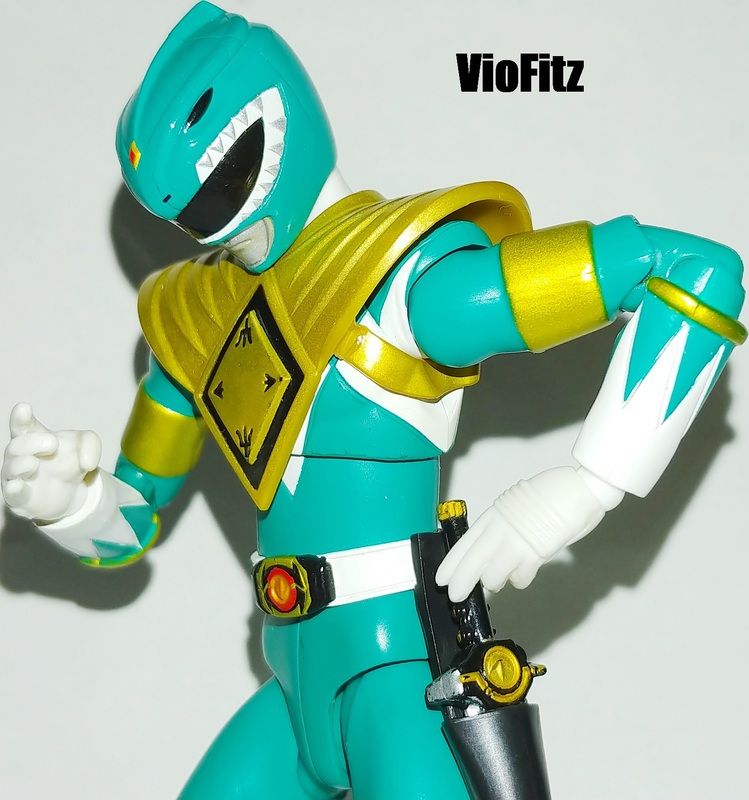 Making it the most fully articulated one compare to the others, frankly… It’s my favorite one! 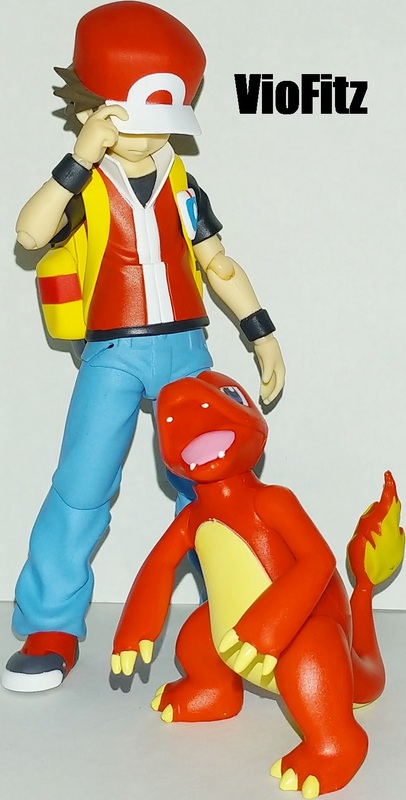 Charmeleon/Lizardo is looking accurate enough to how it looks in both game or anime despite the simple feel but, I’m liking this toy alot. Wartortle/Kameil is an indigo Pokémon simillar to a turtle, interestingly it is bipedal instead of being quadruped like a real turtle. It has brown eyes, a dark blue streak on each cheek, and two sharp teeth protruding from its upper jaw. It has three clawed fingers and pointed toes. Pale blue fur covers its long ears and tail. An orange painted shell with a yellow painted underside encases its body. 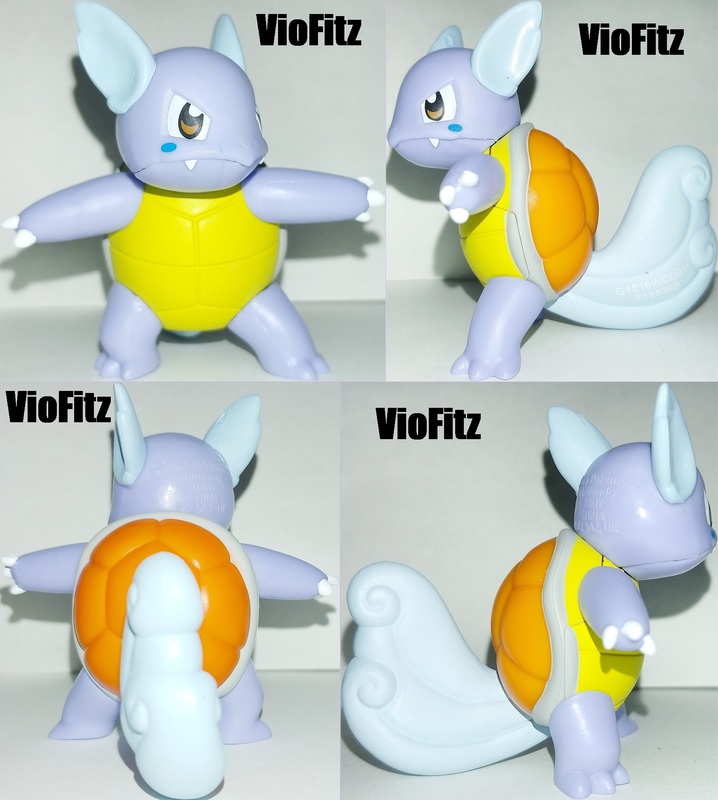 A thick, white rim separates the upper and lower halves of the shell and, the skin color of Wartortle/Kameil tends to be darker compare to it’s pre evolution form. 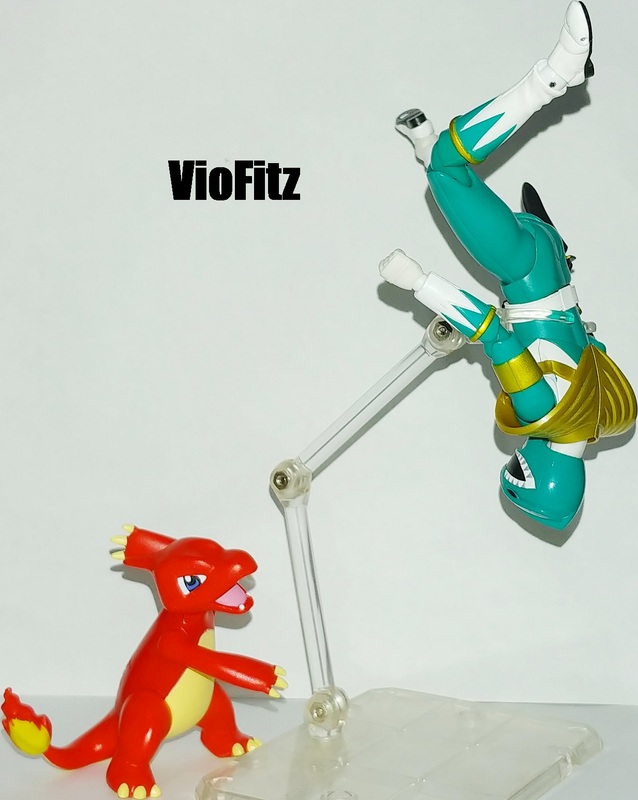 The posing was like showing it’s stance during the battle by stretching it’s arms to the side but, Wartortle/Kameil is also articulated but, only got rotateable head and 2 arms. 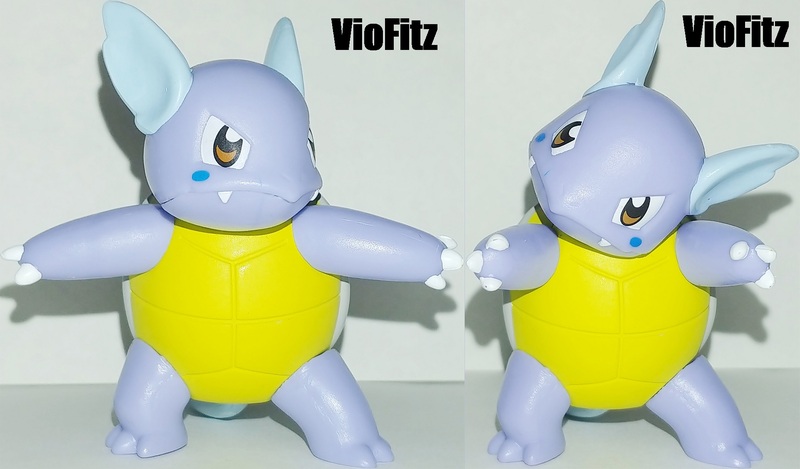 However, the head articulation was designed awkwardly as Wartortle/Kameil is shown like stretching/breaking it’s neck when we rotate it’s head. 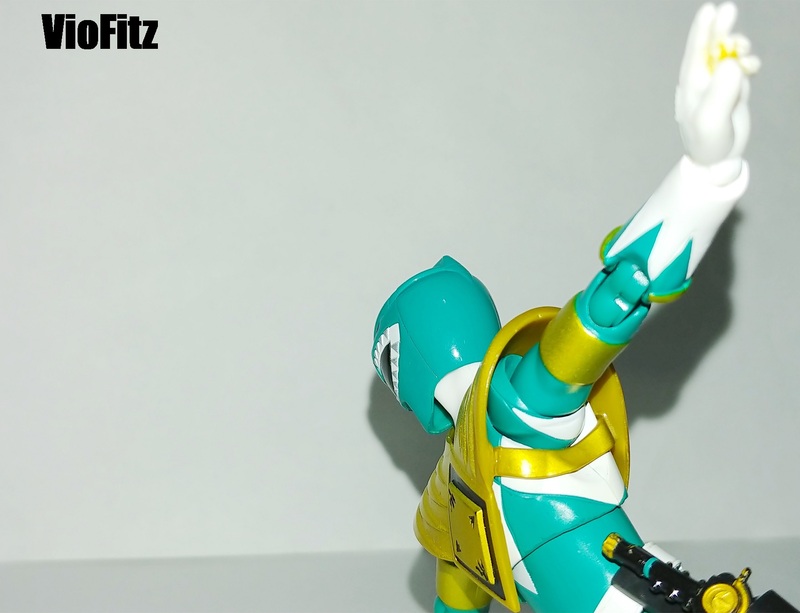 As for the arms, you can rotate it to make posing like it’s pushing something. 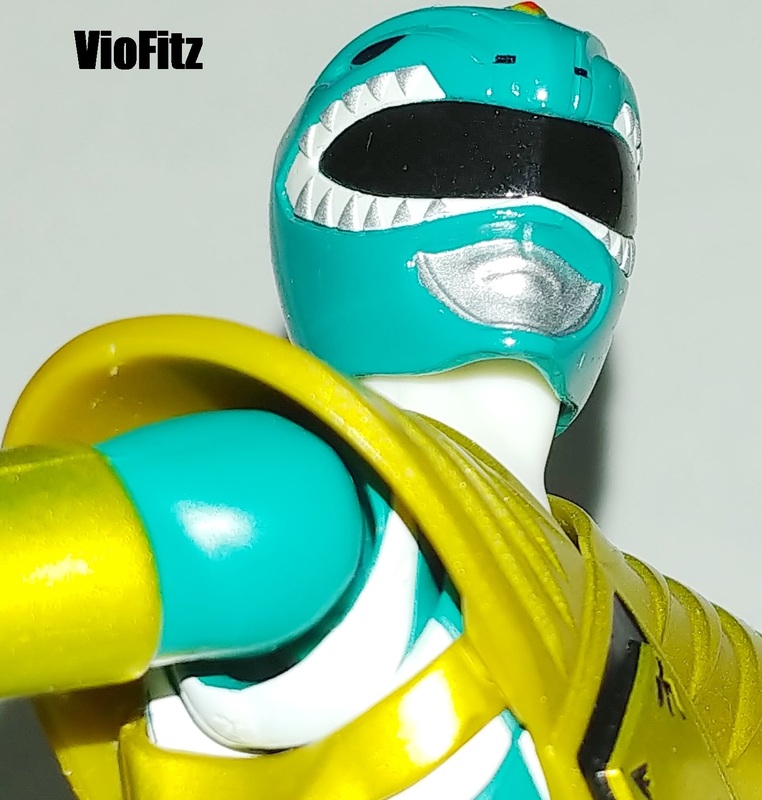 I guess that’s the only thing I can say for the articulations and not quite happy with it but, it’s still a good toy, it’s just I’m not fond with it’s head articulation. 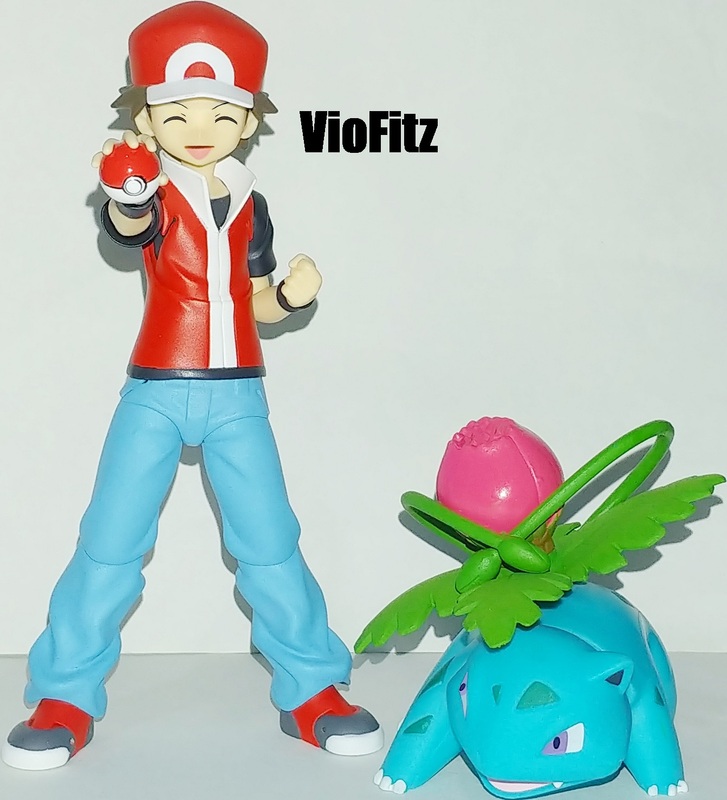 Last but, not least Ivysaur/Fushigisou is a quadruped Pokémon similar to a frog. 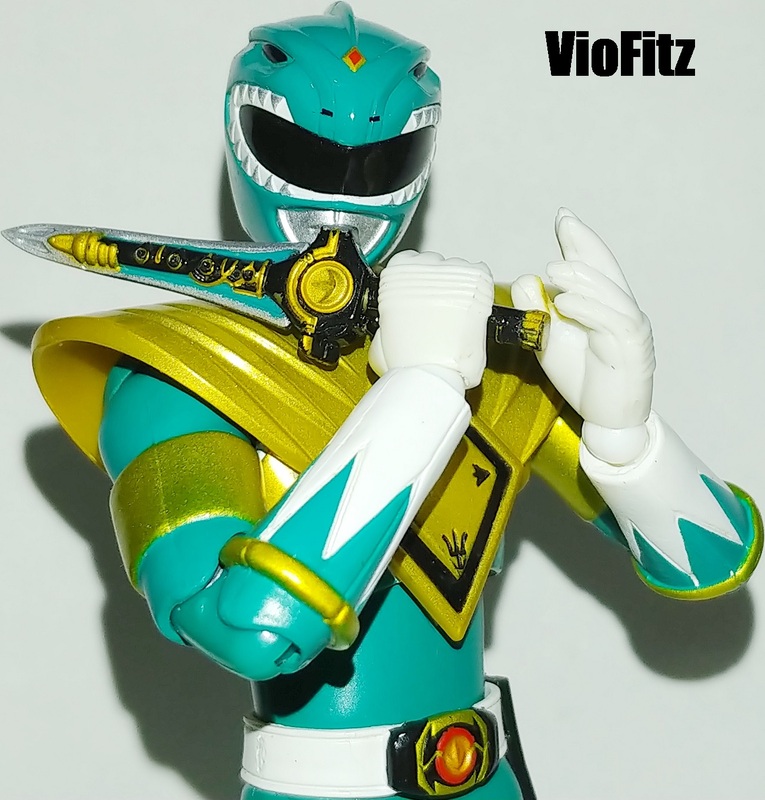 It has blue-green skin with darker patches. On top of its head are pointed ears with black insides, and it has narrow violet eyes while it was supposed to be red. 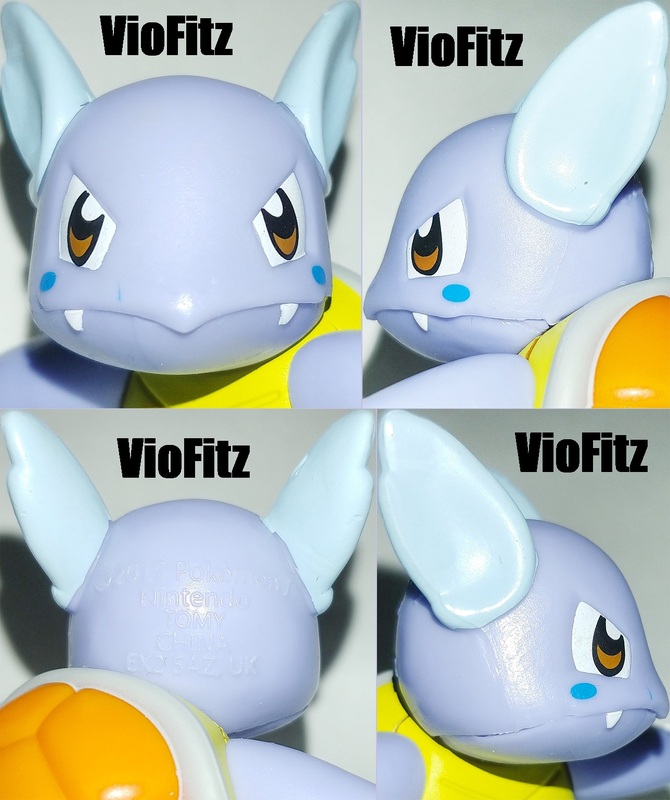 It has a short, rounded snout with a wide mouth. Two pointed teeth protrude from its upper jaw. Each of its feet has three claws on them. The bulb on its back has bloomed into a large pink bud. A short brown trunk surrounded by leafy green fronds supports the bud. 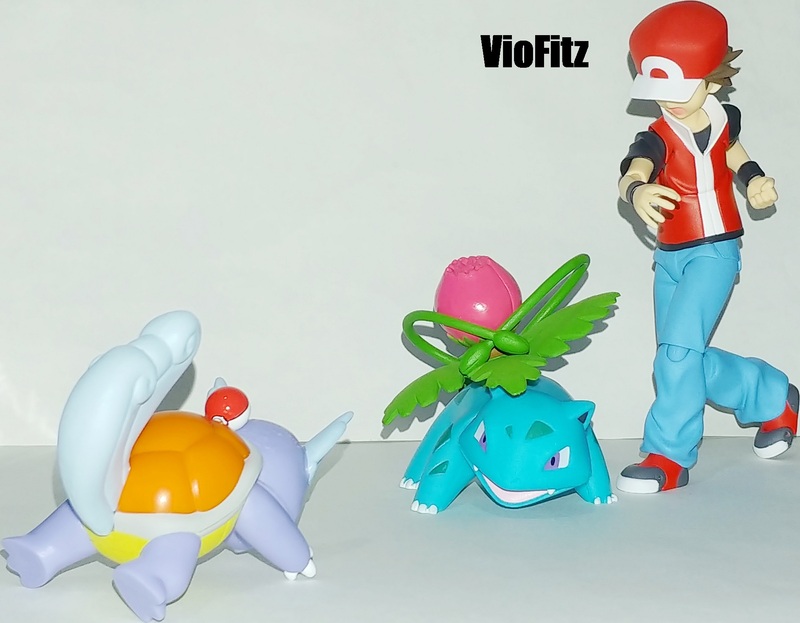 The weight of the plant prevents Ivysaur/Fushigisou from standing on its hind legs and forces its legs to grow sturdy, and the skin color also appeared to be darker than Bulbasaur/Fushigidane but, it’s not very noticeable. There’re also 2 vine whip on it’s leaf fronds trunk made from a soft elastic material, we can actually move the whip but, it won’t be a permanent move as they will go back to where they still. 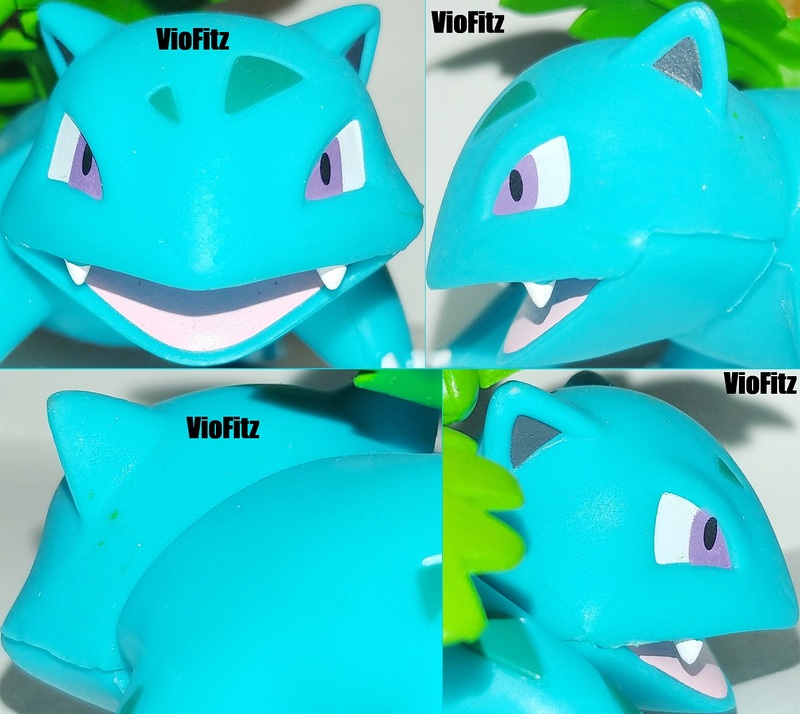 The same goes to it’s leaf fronds and Ivysaur/Fushigisou only got rotateable head but, we cannot rotate it full 360 degrees due to some obstacles and the worse the head won’t still permanently. Other than that, it’s a complete static toy. 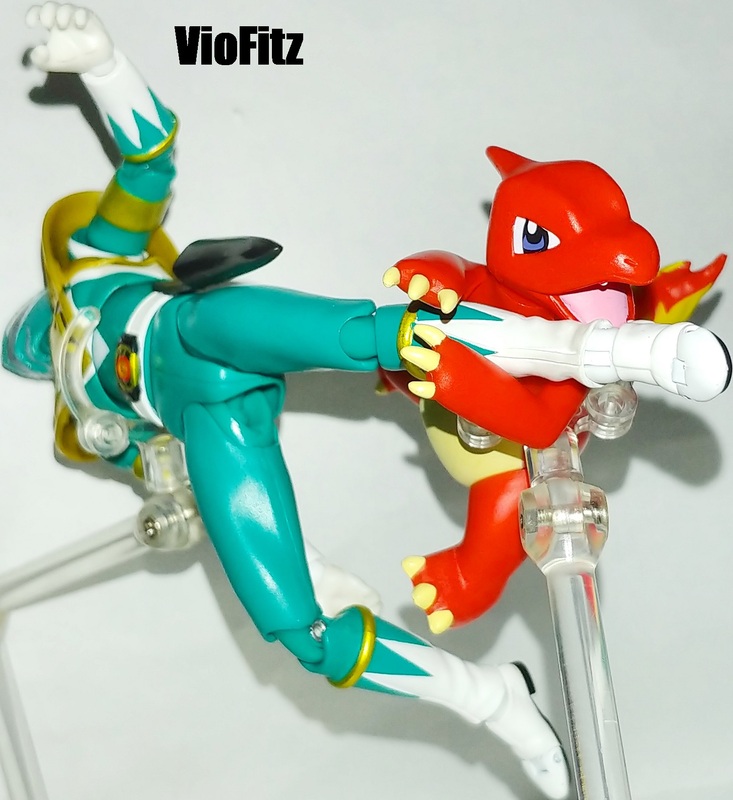 The posing was like another battle stance for Ivysaur/Fushigisou or when using vine whip attack, I really wished atleast those vine whip was done with flexible material to make the toy feel more intense but, since this toy was originally targeted for a kids age 3 and up, I think I can’t complain anymore. 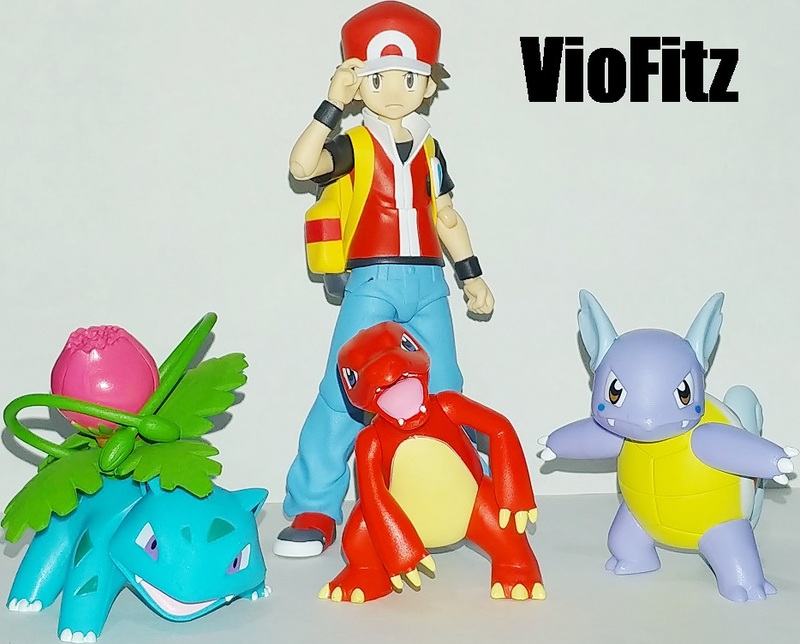 Well… Comparing all of them it’s obvious, they came from a different line… Figma tends to be far smaller but, I don’t know exactly whether they match for the real scale in the game or not… But, since Tomy actually released their own 3 starter Kanto region Pokémon, I think they got the perfect scale like in the real game/anime but, I still don’t mind as these guys are still quite fit enough to be stand together showing the evolutions grows their size. 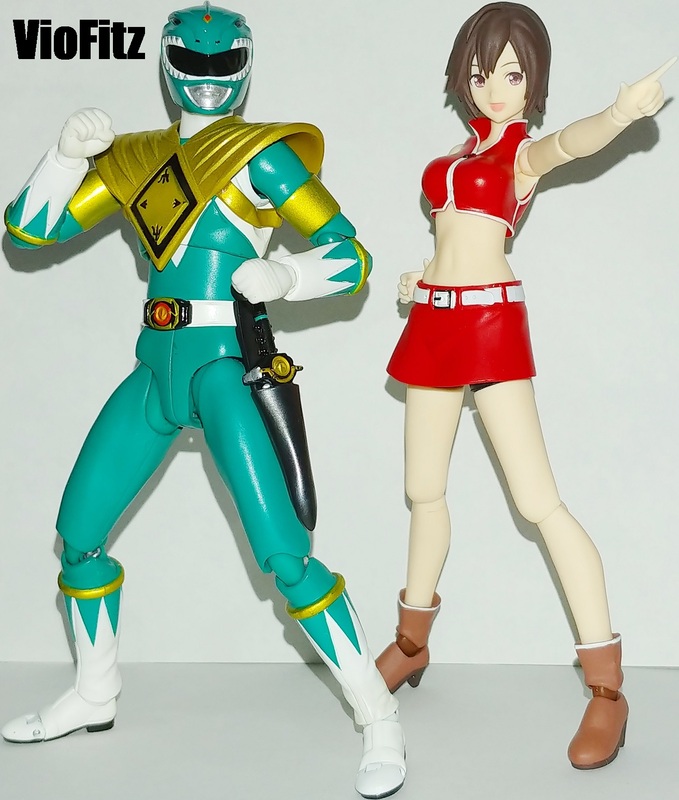 In terms of details, Figma actually did it better as the paintjob and everything looks pretty solid, while the Tomy one actually suffers some minor paintjob problem. However, I don’t really mind it much as they’re barely noticeable. 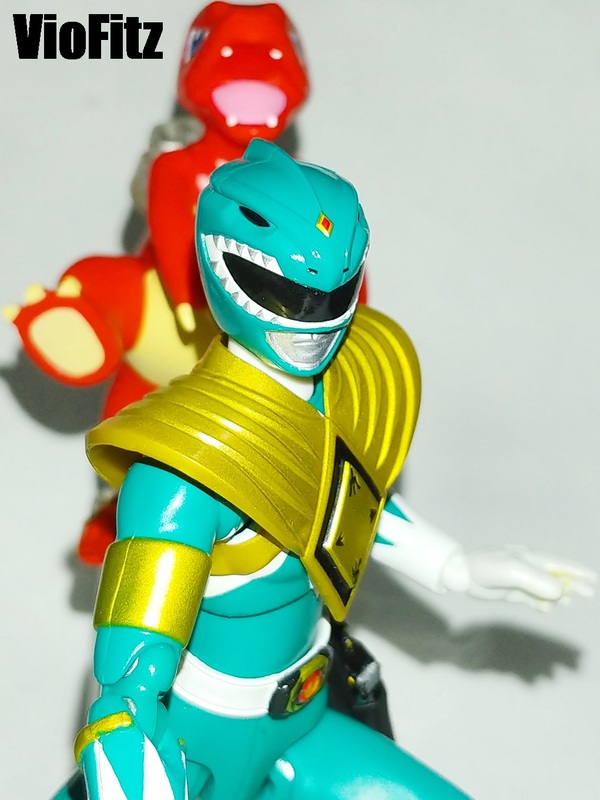 The only thing I don’t like from Tomy is the large print of the toy property as they’re easily spotted in their body but, the worse one is Wartortle/Kamei since it’s completely noticeable on the back of it’s head. 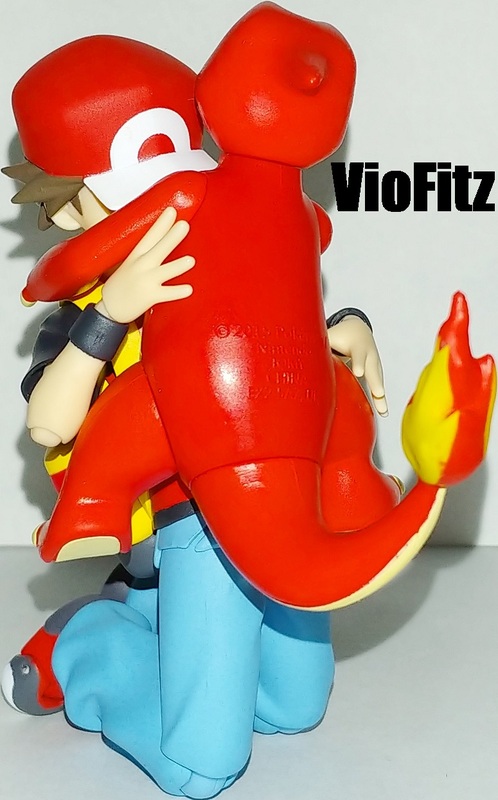 Yes, yes… The real reason getting them is just to make Figma Red having more Pokémons and the evolution form of his 3 starter Pokémons. 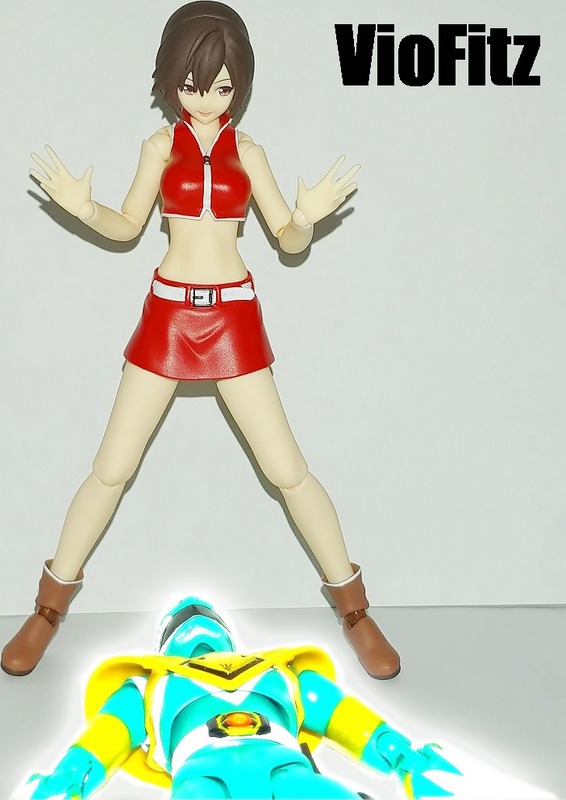 It’s quite fun playing around with these toys although there’s still some slight flaw but, I still pretty recommend this and the price of them aren’t that much expensive in some online stores. 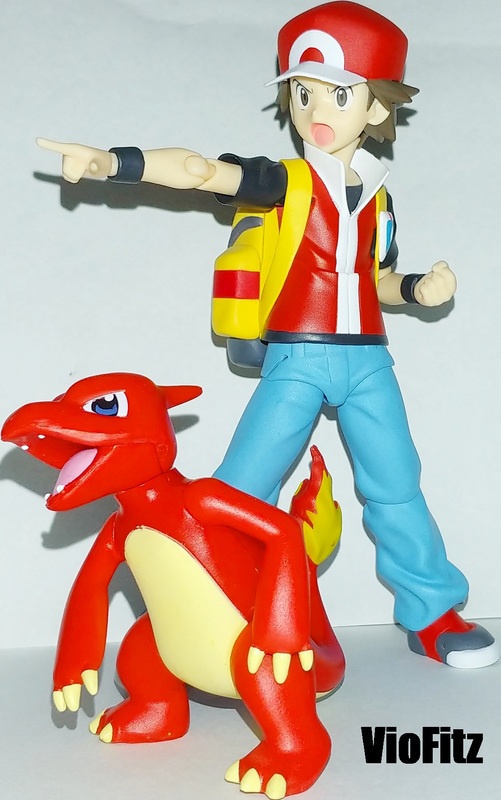 However, there are some online stores/seller who tried to sell this overpriced so, choose wisely when you want to get this. I actually still have interest to collect more of these but, of course… I’m not intended to collect them all since, they’re freakishly too many!! Even the original one has 151 kinds so, I will only get what I like most. 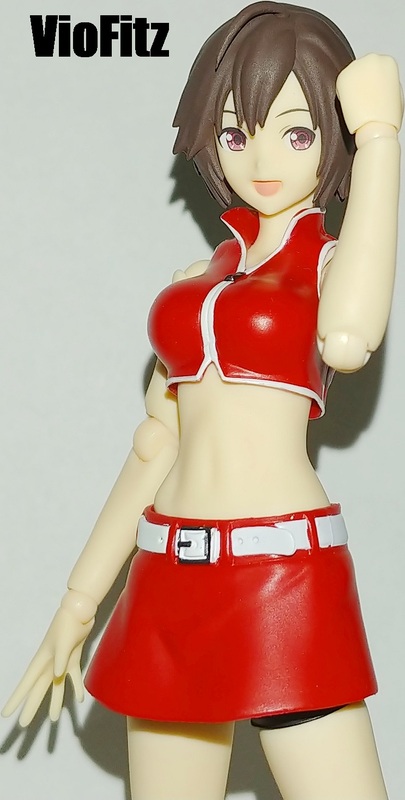 Good, simple yet accurate sculpt work. Minor paintjob problem but, it’s tolerable. Inaccurate paintjob on the shell and the underside of the shell. 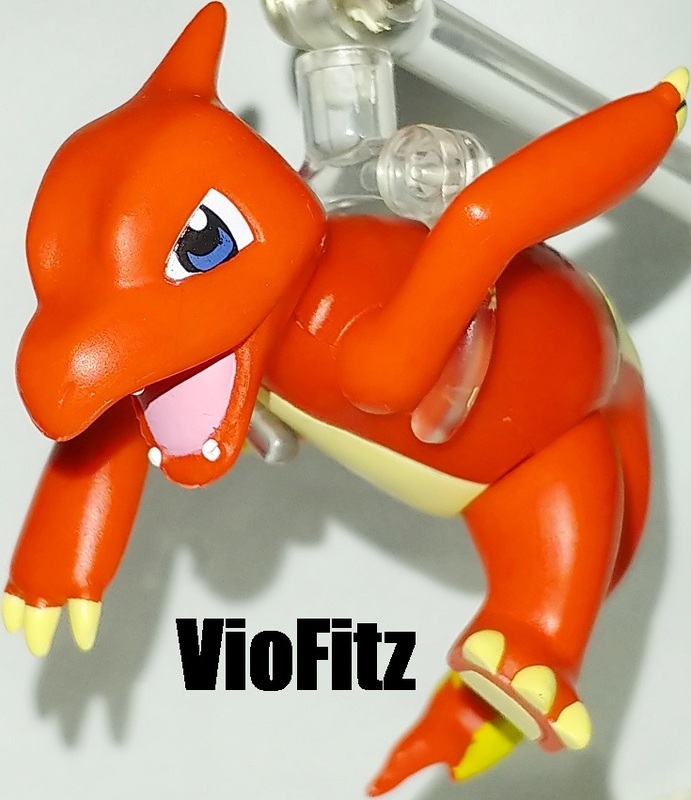 A flexible material on the vine whip would be alot better to make the toy more fun to play. 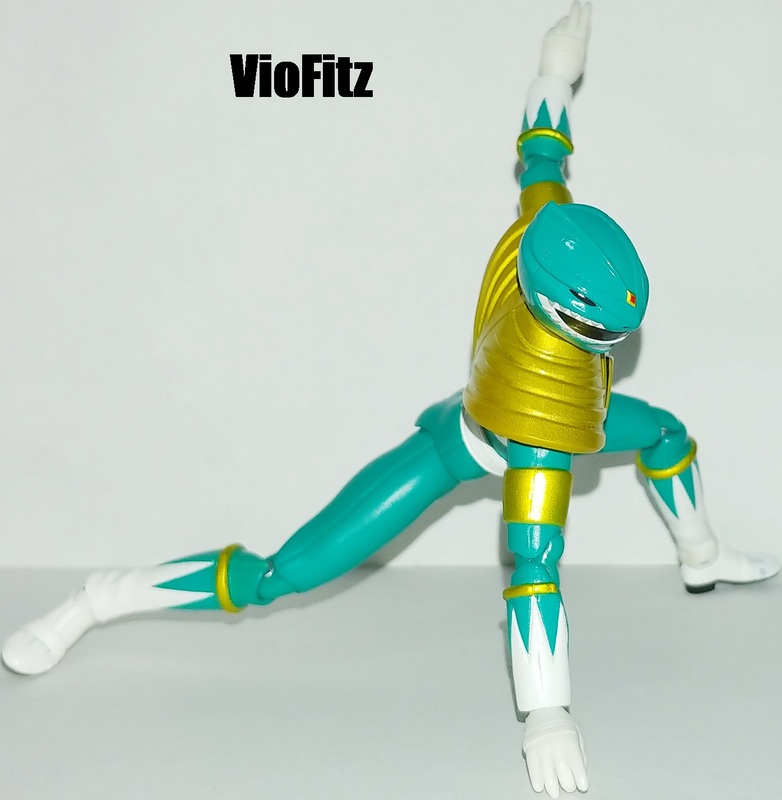 No articulations on the rest of the body! This is definitely getting interesting!! 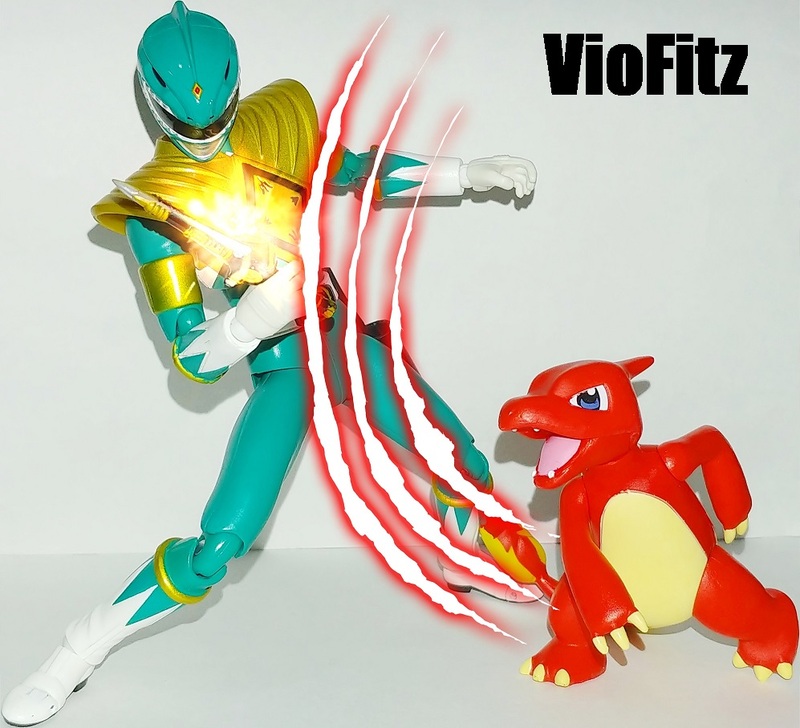 Here comes another Dragon kick!! 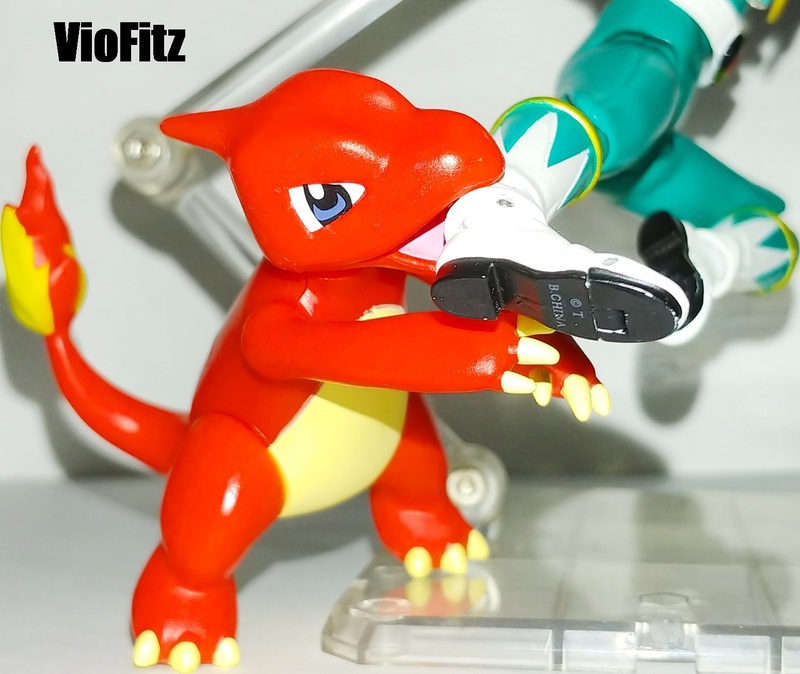 Dodge it and use bite attack!! 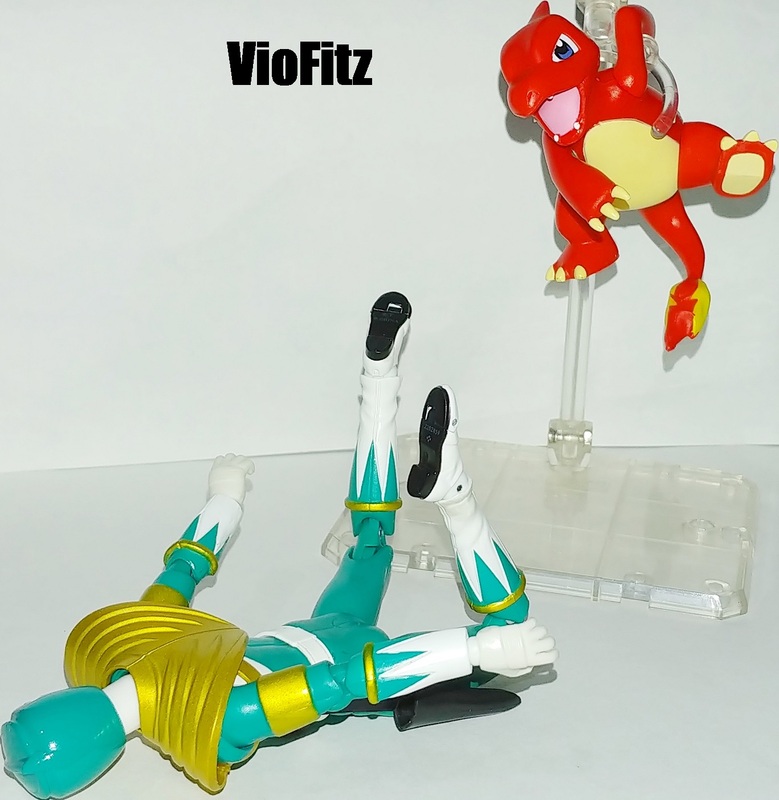 Owh… Charmeleon/Lizardo used throw attack!! 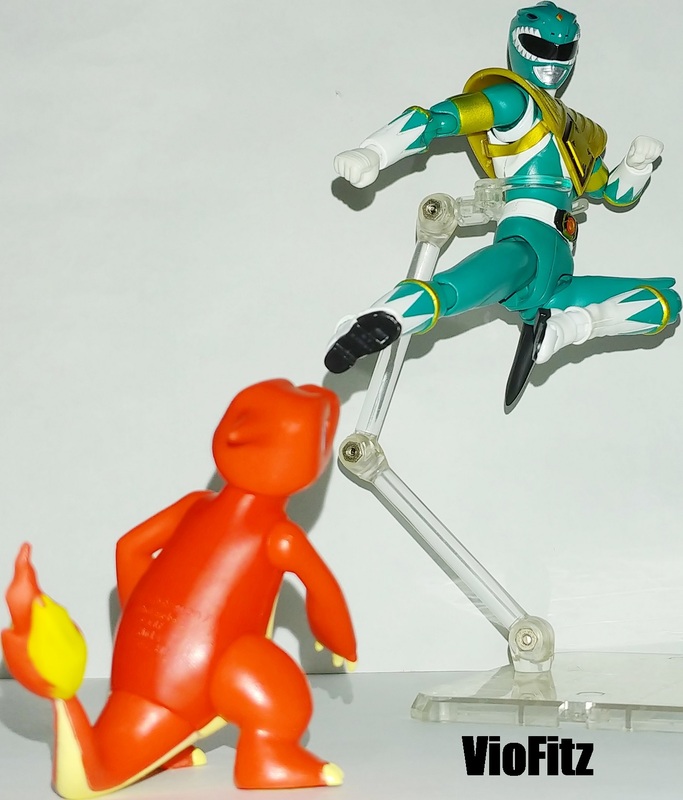 But, Dragon Ranger managed to land safely! 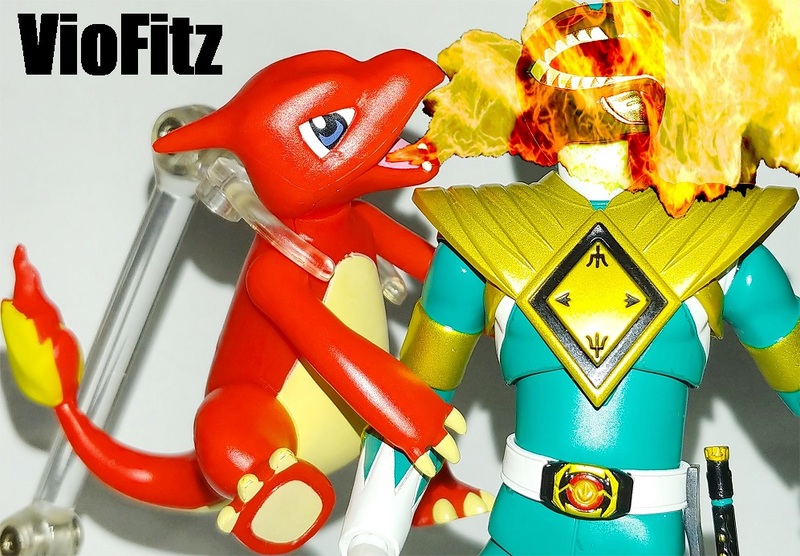 OOWWW… A DIRECT HIT OF FLAMETHROWER!! It’s very effective!! Hey! Watch your tongue!! Looks like she’s getting serious, eh? See how ya’ like this!! 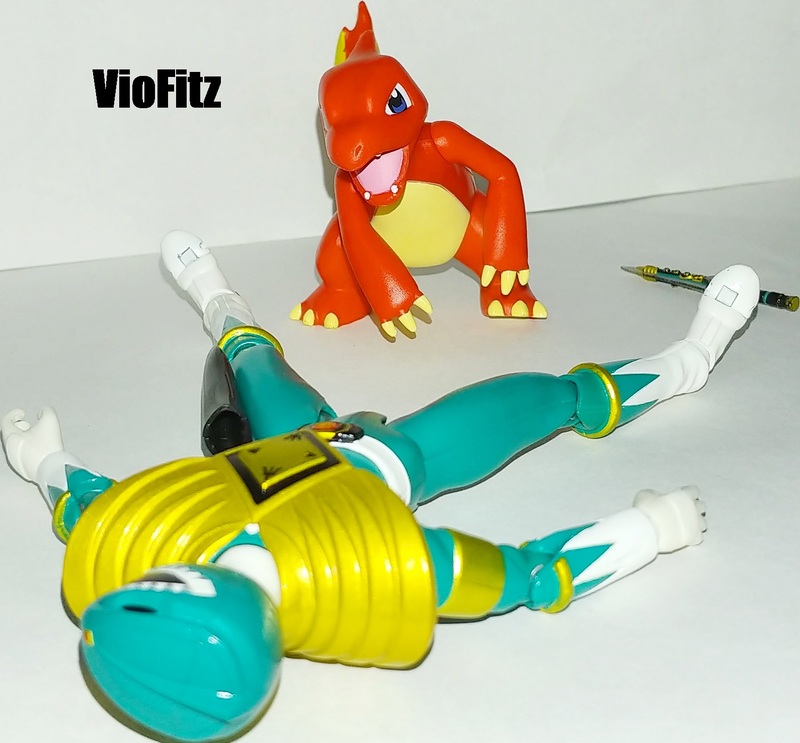 Is he calling Dragon Caesar?! 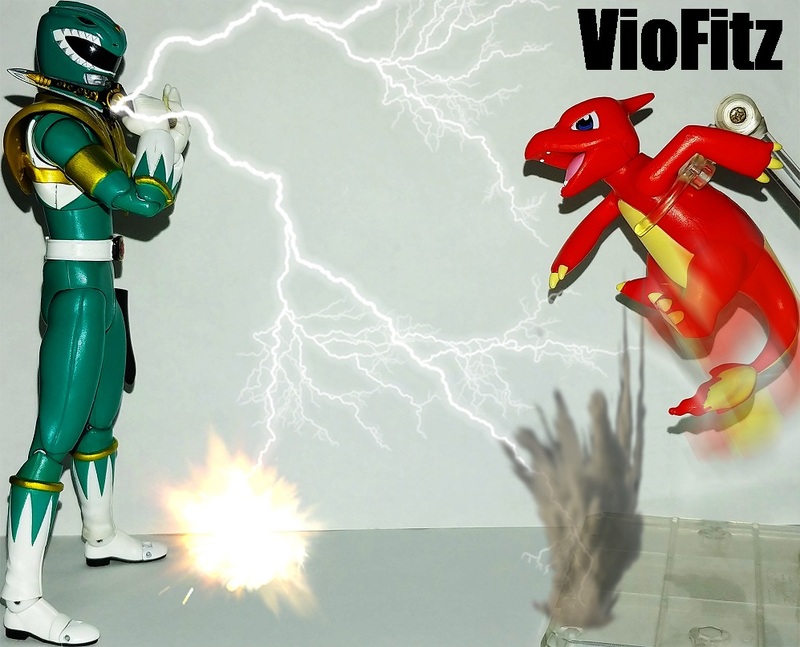 Ow, Dragon Ranger used Electric Blast but, it missed!! Another direct hit!! But, it’s not very effective!! Oh, my… You’re pretty good, baby…. Does that mean, you belong to him now? But, it’s too early to celebrate! Damn! She’s still got ace in her sleeve!! What? 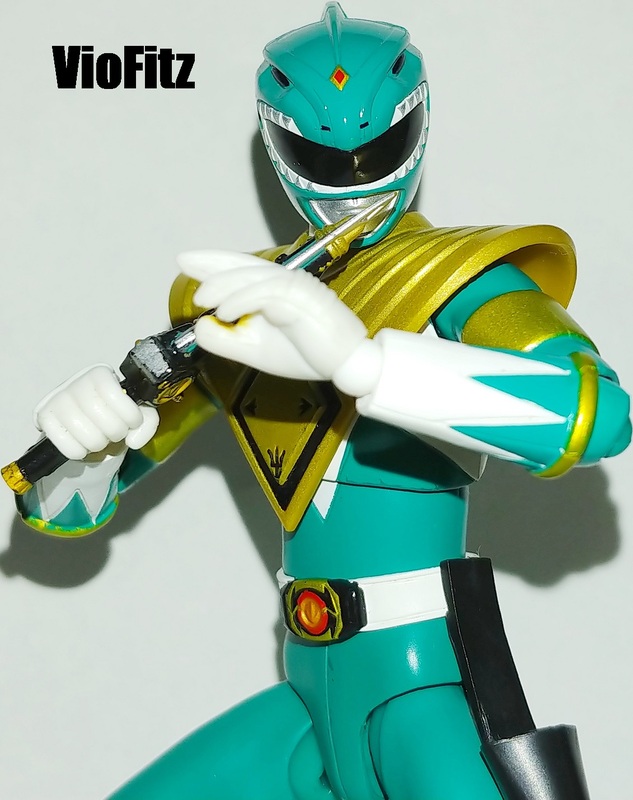 Dragon Ranger is evolving! 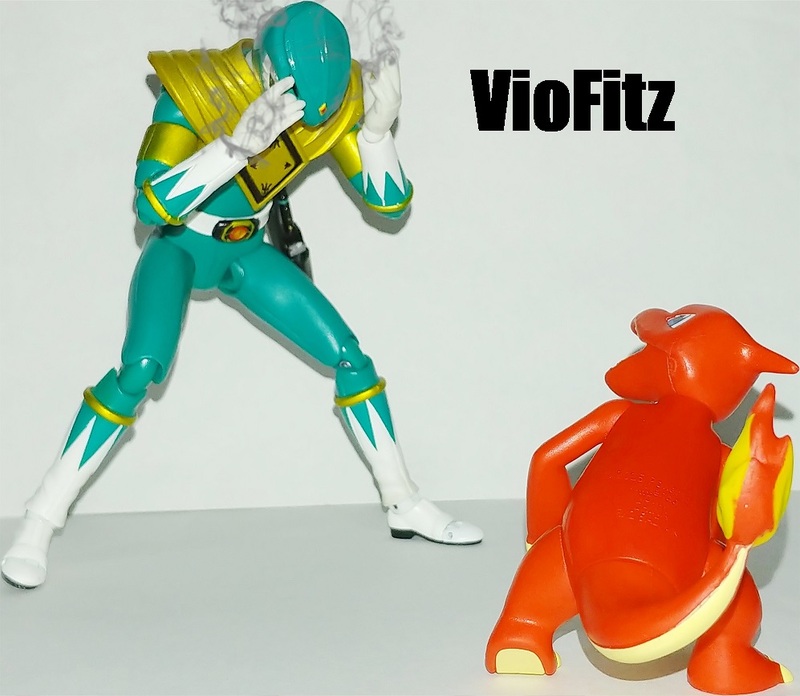 Now, prepare for the counter attack! !